Below are resources that we have found helpful as we discover God’s plan for our lives. We believe that the best way for us to know our purpose in life is to read God’s word and allow it to read us as well. The link below is to a bible reading plan created by Robby Gallaty’s team at Long Hollow. Click on the link to download a copy of this resource. The gospel is more than just a prayer we pray or the door we walk through to get into Christianity. The gospel is the very house itself—the walls, the roof, the floor. In his book Gospel, Pastor J.D. 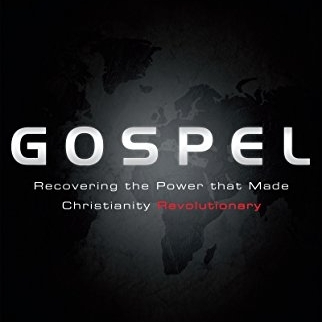 Greear explains why many of us don’t really understand the Gospel and what it means for us to really allow it to transform our lives. The Bible is God’s love letter to humanity and at its core is the story of a baby and God’s great rescue plan. The Jesus Storybook Bible is an incredible resource when it comes to understanding the “big picture” of the Bible. Whether you’re 8 or 80, The JEsus Storybook Bible will bring to light a new way of looking at the scriptures that will help them come to life.